At least 7 injured are reported as a result of the event, according to preliminary data. 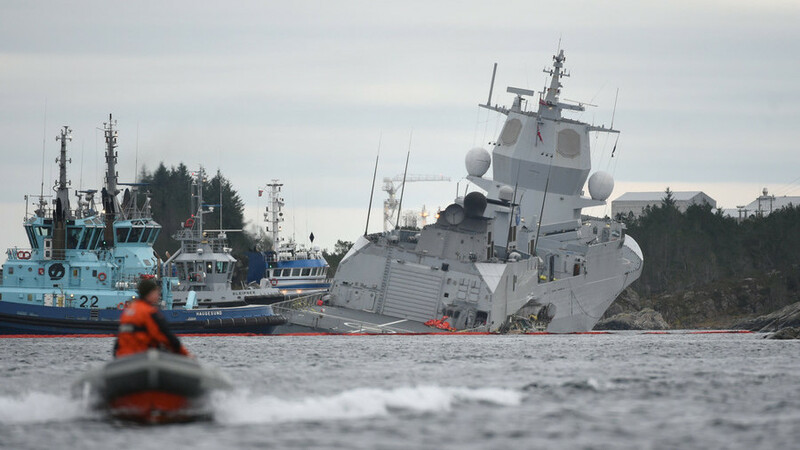 At 04:03 this Thursday morning (local time) off the coast of Norway, the frigate of the Norwegian Navy KNM Helge Ingstad lost control and collided with the tanker Sola TS, reports the local newspaper VG with reference to Lieutenant Colonel and spokesman for the Norwegian Armed Forces, Vegard Finberg. The rescue operation began before 5:00 and just over an hour later, all the people aboard the frigate were evacuated, except for 10 essential staff members who stayed to avoid a possible fuel leak. The vessels involved carried about 160 people in total: 137 on board the military ship and 23 on the tanker. There are at least 7 injured among the crew of the tanker, according to preliminary data. At the time of the collision, the tanker was leaving the Sture terminal, 50 kilometres northwest of Bergen, transporting 625,000 litres of crude oil. No spill has been reported as a result of the incident. As far as KNM Helge Ingstad is concerned, Lieutenant Colonel Finberg has indicated that he was returning to his base after taking part in Trident Juncture 2018, the most important NATO exercises since 2002. “The frigate had completed the mission and I was back to the Haakonsvern base, “Finberg said. The main phase of the Trident Juncture 2018 training – in which more than 40,000 troops from 30 member countries and NATO partners participated – took place from October 25 to November 7 in Norway and its surroundings.